Way back in 1970 the US Army decided I could help save the world if they sent me to a little base not far from Kassel, Germany. It was a nice enough place, the duty wasn’t hard, the beer was good and so was the fellowship. There was a baseball diamond on post, but the place also had a ball team so the peons weren’t supposed to use the diamond, and thus mess it up, during ball season, so we had to find another place to play. The solution was in downtown Kassel. We’d head over to the place they stored the sports equipment, draw out a set of rubberized bases, a set of catchers equipment, some bats and balls, and pile into a couple of cars the guys had (I didn’t have a car) and drive down to Kassel. The town was a nice enough place with several parks. One of them was divided into two sections. One section had trees and paths and benches and small open areas where people could walk and sit and talk and kids could run and play and just do all the things that families and couples and singles do when they’re out and about (that enough usage of “and” for ya?). The other side was a long open stretch of grass used for sports. There were a couple of soccer goals, one area where a basketball half-court was set up, and then a big open area where there was nothing but grass. It just called out for a makeshift baseball diamond. We would get there early, usually on a Saturday, and throw out a diamond and start playing. Generally there were six or seven of us, so we’d just switch off guys hitting and pitching with everyone else shagging flies or scooping grounders. You’ve probably done this too. It was fun and of course there was no score (heck, there was no base running). And of course we began to attract the locals. Guys would wander over to see what the “Crazy Americans” were doing. Commentary would follow in German. Most of us knew at least a little German (certainly enough to order a beer or start a conversation with a girl) and a couple of us knew it quite well, so we could tell the Germans were interested in what was going on, but couldn’t figure out how it all worked. A lot would head back over to the soccer field while the rest would continue checking out what you could do if you used the hands God gave you to play sports. Eventually this led to inviting them to join us and we’d try to teach them the game. It was great for us because we suddenly had 12 or 13 or 14 guys so we could actually play something like a game instead of just bat the ball around. We’d try to divide teams so that there were roughly an equal number of Americans and Germans on a team. It more or less worked. Eventually most of the German guys could catch some (we’d trade around gloves), could throw it in the right direction, could even swing the bat and make some contact. What they couldn’t do, was pitch. One of the biggest loudmouths among the Germans was Gunther (he made sure we pronounced it Goon-tur, not Gun-thur). He was in his early 20s, a student at the local university, tall, lanky, and absolutely sure he’d figured out the game. He wasn’t bad, but Joe DiMaggio was in no danger of losing his place in the pantheon of American sport. But Gunther decided he wanted to be Bob Gibson. So one day the Germans essentially announced they weren’t going to play if Gunther didn’t get to pitch (always wondered what he’d bribed them with). It turned out that I hit second that day, so one of the other guys got first taste of Gunther on the mound (“Gunther on the Mound.” You could make a flick about something with that title, couldn’t you?). He tried to mimic a windup, he tried to throw it hard, he tried to get it near the plate. Well, he got the first one pretty close, the second one he achieved, the third one became “God knows” baseball (God knows where the ball is going). He was wild, he was awful. We tried to convince him that no matter how hard you threw it, if it didn’t get anywhere near the plate it was still ball one, ball two, ball three, ball four, take your base. We didn’t have an umpire to actually call that, but after a handful of pitches we decided that it was a walk and the guy should go find the appropriate rubberized base. That brought me up. The first pitch was high, but close to the plate. The second one actually bounced over the plate (we had to explain it still wasn’t a strike). Gunter was getting closer. The third pitch finally found a part of the plate and I hit the thing. It went right up the middle toward Gunther who had no chance of either catching it or ducking. Caught him right in the breadbasket. I ended up on first, the other guy hoofed it all the way to third while everyone just kind of stood there watching to see what would happen. Gunther went down in a heap, the ball rolled away, and we stopped play. Gunther was alright, sore, but alright. We suggested he ought to maybe take an outfield spot until he felt better and let one of the other guys (an American) pitch. He agreed. We finished the game, gathered up the equipment, stowed it in one of the cars, then wandered over to a local biergarten (beer garden), drank a few, had a few laughs, many at Gunther’s expense (he took it well), and headed back to our normal lives. The next Saturday we showed up again, laid out the field, had the Germans come over, and started a new game. Gunther was there as usual. He volunteered to play center field. With New York up two games to one in the 1941 World Series, the Brooklyn Dodgers needed a win to square the Series and give themselves a real chance of winning it all. What they and all fans got, was one of the most well known moments in World Series history. With game four the Dodgers brought Kirby Higbe to the mound. Facing him was Atley Donald. Higbe allowed a first inning run on a Charlie Keller single to give the Yanks an early 1-0 lead. Then in the fourth he allowed a Keller double, walked Bill Dickey, and saw a Joe Gordon single load the bases. He got two outs, one of them a cut down of Keller trying to score from third, then gave up a two out single to Johnny Sturm that put New York up 3-0. It also sent him to the showers, as Larry French took over and recorded the final out. Then Donald got into trouble. 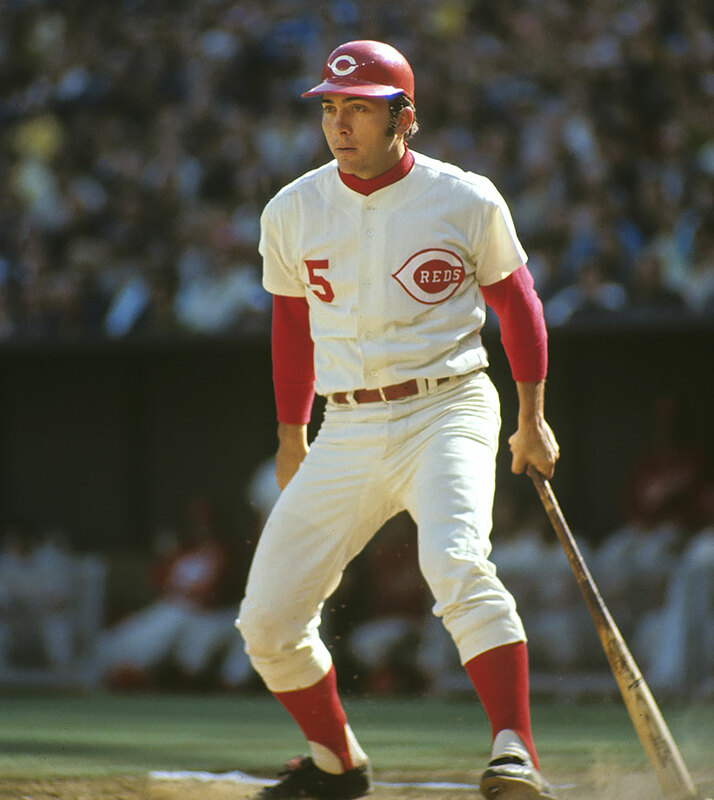 In the bottom of the fourth, with two outs (a lot of stuff happens in this World Series with two outs) he walked both catcher Mickey Owen and pinch hitter Pete Coscarart to bring up Jimmy Wasdell. A Wasdell double plated both runners to make the score 3-2. It got worse for Donald in the fifth. He walked Dixie Walker, then watched as Pete Reiser sent one over the Ebbets Field fence to put Brooklyn ahead 4-3. With relief ace Hugh Casey now on the mound, the Dodgers rolled through the sixth, seventh, and eighth innings. The Yanks managed all of two hits off Casey going into the ninth. Consecutive groundouts by Sturm and Red Rolfe brought Tommy Henrich to the plate with two outs. Casey got two strikes on him. In the mind’s eye of all Brooklyn fans the next pitch went like this: Casey threw a low one, Henrich swung for the third strike, Owen caught the ball and the Dodgers had tied the Series. In reality it went like this: Casey threw a low one, Henrich swung for the third strike, and the ball skipped away from Owen all the way to the backstop. An alert Henrich raced to first and was safe. For years in Brooklyn some fans called it simply “the play” (which is one of the more family friendly things it was called). Years later Casey admitted he crossed up Owen and threw a pitch the catcher wasn’t expecting. With new life, New York capitalized on a rattled Dodgers team (especially Casey). 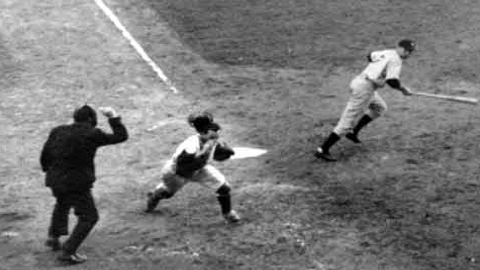 Joe DiMaggio singled sending Henrich to second. A double by Keller scored both runners, putting New York ahead. Dickey walked. A Joe Gordon double scored both Keller and Dickey. Phil Rizzuto walked. That brought up reliever Johnny Murphy who, acting as the designated rally killer, grounded out to end the inning. Instead of winning 4-3, Brooklyn now trailed 7-4 with three outs to go. Now down three games to one the Dodgers faced elimination on 6 October. They sent their ace, Whit Wyatt back to the mound to stave off defeat. He’d so far been the only Brooklyn pitcher to pick up a win. The Yankees replied with Ernie “Tiny” Bonham. Wyatt caused much of his own problem early. To start the second inning he walked Charlie Keller, then gave up a single to Bill Dickey that sent Keller all the way to third. Then, shades of game 4, Wyatt uncorked a wild pitch (this one not close enough to Owen to blame him) that allowed Keller to score the first run and send Dickey to second. A Joe Gordon single plated Dickey before Wyatt regained control of the situation and set down the next three Yanks in order. The Dodgers got one back in the bottom of the third on a Wyatt double, a Lew Riggs single, and a Pete Reiser sacrifice fly that scored Wyatt, but Bonham got a strikeout to end any further threat that inning. After a scoreless fourth, Tommy Henrich got hold of a Wyatt pitch that sailed out of the field of play to give New York a 3-1 lead. And that was all Bonham needed. He coasted through the rest of the game giving up only one single (of four total hits allowed) and a walk (of two total) to give the Yankees a win and the Series 4 games to 1. Despite being something of a blowout four games to one, it was a terrific World Series. Three games were one run affairs and the finale was 3-1. Even the 7-4 fourth game was 4-3 going into the ninth. The Yanks hit .247, the Dodgers .182. Joe Gordon and Charlie Keller were both terrific having five RBIs each with Gordon contributing a homer. Tommy Henrich had the other team home run and, of course, had shown great heads up play by taking first on the game four dropped third strike. For Brooklyn, Joe Medwick led the team with a .235 average and Peter Reiser had three RBIs. The Dodgers pitching had a 2.66 ERA, but walked 23 (while striking out only 18) and gave up crucial hits (41 of them) as well as a critical wild pitch and the infamous crossing-up-the-catcher pitch. New York pitchers posted a 1.80 ERA, struck out 21 (while walking 14) and only gave up 29 hits. There was no Series MVP in 1941 but it might have been a tough call among Keller, Gordon, and Henrich. For Brooklyn, 1941 was a losing Series. There would be more. For New York it was a winner, and there would also be more. But it began one of the truly great rivalries in American sport and should be remembered for more than one play. The 1941 World Series began a rivalry that was among the most fierce and passionate in baseball: the Dodgers and the Yankees. Now that it’s cross country, it’s a little less passionate, but nonetheless the intensity is still there. The first games in that rivalry were in Yankee Stadium. Game one saw the Yankees start Hall of Fame right-hander Red Ruffing against Curt Davis. New York struck first with a Joe Gordon home run in the bottom of the second. The 1-0 score lasted until the bottom of the fourth when, Joe DiMaggio drove a long fly to left. Joe Medwick, grabbed the top of the fence, hoisted himself up, and snagged the ball going out of the field of play (sort of like the more famous Al Gionfriddo catch of 1947). That gave New York two outs. But then Charlie Keller walked. Bill Dickey promptly doubled to score Keller and run the score to 2-0. The Dodgers got the run right back in the top of the fifth, again with two outs. PeeWee Reese singled and scored on a follow up triple by catcher Mickey Owen. The score remained 2-1 until the bottom of the sixth when, this time with only one out, Davis again walked Keller. A Dickey single sent Keller to third and a Gordon (who went 2 for 2 in the game with a walk) single brought home Keller with the third New York run. It also sent Davis to the bench and brought in ace reliever Hugh Casey, who got out of the inning with consecutive flies. Brooklyn again got the run right back in the top of the sixth. Cookie Lavagetto reached first on a throwing error by Yanks shortstop Phil Rizzuto. A Reese single sent Lavagetto to second and Lew Riggs pinch hit for Owen. Riggs singled to plate Lavagetto, but a double play and a ground out ended the inning with the score 3-2. It stayed that way through the eighth when Ruffing gave up two singles sandwiched around a foul. 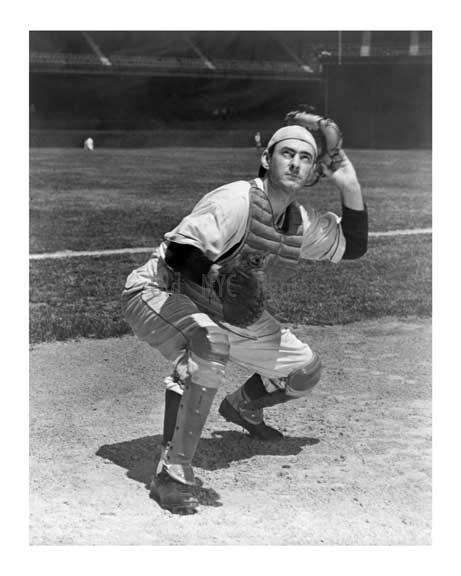 That brought up Dodgers catcher Herman Franks (who was in the game because Riggs had pinch hit for Owen). He hit one to Gordon, who flipped to Rizzuto who threw on to first to end the inning and the game on a nifty double play. The big stars were for the Dodgers, Medwick, who’s great catch saved a run and for the Yankees, Ruffing who pitched a complete game and Gordon who drove in two runs and scored one. The game gave New York a 1-0 Series lead. Game 2 saw New York trot out Spud Chandler to face Brooklyn ace Whit Wyatt. At the beginning of the game, Chandler seemed more the ace than Wyatt. The Dodgers gave up runs in both the second and third innings. It could have been worse. With two outs and Charlie Keller on third and Joe Gordon on second, Chandler singled to score Keller, but an alert play by Dolph Camilli, Dodgers first baseman, gunned Gordon down at the plate to end the inning. In the third, Tommy Henrich doubled and after an out, came home on a Keller single. After that Wyatt settled down. He gave up a couple of walks and a handful of hits, but no Yankee scored. Meanwhile, the Dodgers finally got to Chandler in the fifth. Walks to Camilli and Cookie Lavagetto were bookends to a Joe Medwick double that loaded the bases and brought up Brooklyn shortstop PeeWee Reese. Reese grounded to his counterpart, Phil Rizzuto. Rizzuto flipped to Gordon to get Lavagetto, but Reese beat the relay and Camilli scored while Medwick went to third. That brought up Mickey Owen, who singled home Medwick to tie the score. In the top of the sixth, Dixie Walker reached first on a Gordon throwing error and went to third on a Billy Herman single. That gave Chandler an appointment with the showers and brought in Yankees relief ace Johnny Murphy. Camilli singled to untie the game and the Dodgers held on to win 3-2. Wyatt ended up with a complete game victory while Chandler took the loss. After a day off and with the Series tied one game each, the teams moved to Ebbets Field for game three. It was the first postseason game played in Ebbets Field since 1920. The Dodgers gave the ball to Fred Fitzsimmons. The Yanks countered with Marius Russo. For seven innings it was a great pitchers duel. No on scored. Only one man on each team (Joe Gordon and Pete Reiser) made it as far as third. By the eighth, Fitzsimmons was almost out of gas. Then he got hit on the foot by a batted ball. He’d given up four hits and walked three, while striking out one, but he just couldn’t go on with the foot hurting. So Leo Durocher decided he had to go to his bullpen. In came Hugh Casey, the Dodgers counterpart to Johnny Murphy. 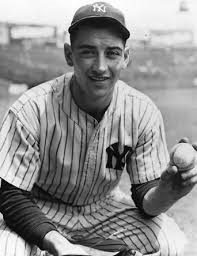 He got the first out, then consecutive singles by Red Rolfe and Tommy Henrich brought Joe DiMaggio to the plate. He singled to left scoring Rolfe and sending Henrich to third. Charlie Keller was next and singled scoring Henrich. That was all for Casey. Larry French replaced him and recorded the final out of the inning. Leading 2-0 Russo started the bottom of the eighth by giving up a Dixie Walker double. One out later French was removed for a pinch hitter, who struck out. That brought PeeWee Reese to the plate. He singled scoring Walker before Russo got a popup to end the inning. He sailed through the ninth to record a Yankees 2-1 win and put New York up 2 games to 1. Game four was Sunday and would become the most famous, of infamous depending on your point of view of the entire Series. There are a number of great rivalries in baseball: Cards-Cubs, Dodgers-Giants, Yanks-Red Sox, and others. In postseason baseball there is nothing quite like the rivalry between the Yankees and the Dodgers. They’ve played each other more than any other World Series combination (with the Yankees usually winning). This is a look at the World Series that started that rivalry, the 1941 World Series. Joe McCarthy, since the early 1930s managed to lead the New York Yankees to World Series triumphs five times, the last win coming in 1939. His offense finished high in almost every major American League category. They were second in runs, slugging, OPS, total bases; first in home runs; third in walks, batting average, OBP; and fourth in triples. Only in doubles were they down the list at seventh. The staff was equally as effective. They finished first in hits, runs, and saves (although the stat wasn’t around yet). They were second in ERA and shutouts while finishing third in strikeouts. The infield, two years removed from the tragic loss of Lou Gehrig, consisted of Johnny Sturm at first, Hall of Famers Joe Gordon and Phil Rizzuto up the middle, and Red Rolfe at third. Rizzuto’s .307 led the infield in average while Gordon led in both homers (24) and RBIs (24). His 5.2 WAR also led the infield and was third on the team. Rizzuto’s WAR was at 4.5. Rolfe’s WAR stood at 1.1 while Sturm was at a minus two. The backups were two middle infielders: Jerry Priddy and Frankie Crosetti. Both managed a single home run while Priddy had more RBIs and Crossetti a slightly higher batting average. There is a school of thought that states this Yankees outfield was, across the board, the best Yankees outfield ever. Charlie Keller was in left. He hit .298 with 33 home runs, 122 RBIs, and OPS+ of 162 for 6.6 WAR. Tommy Henrich was in right. He hit .277 with 31 home runs, 85 RBIs, a 136 OPS+, and 4.6 WAR. Of course the center fielder was Hall of Famer Joe DiMaggio. The Clipper hit .357, had 30 homers, 125 RBIs, only 13 strikeouts in 541 at bats (read that closely), had an OPS+ of 184, and 9.1 WAR, all to go along with the 56 game hitting streak and an MVP Award. The backups were George Selkirk and Frenchy Bordagaray. Frenchy hit .260, “Twinkletoes” Selkirk had six home runs and 25 RBIs. They combined for a -0.1 WAR (Selkirk’s was at least a positive number). Hall of Famer Bill Dickey and Buddy Rosar did almost all the catching. In many ways their season mirrored each other. Dickey hit .284, Rosar .287. Dickey’s OPS+ was 109, Rosar’s was 101. Dickey’s 2.6 WAR exactly doubled Rosar’s 1.3. Dickey had seven home runs and 71 RBIs while striking out only 17 times in 348 at bats. Rosar played many less games, but had 10 strikeouts in 209 at bats. Ken Silvestri was the third catcher. He got into 17 games and hit .250. Although there were a couple of stars involved, the staff really worked as a “staff.” Marius Russo led the team with 27 starts while Red Ruffing, Spud Chandler, Lefty Gomez, and Atley Donald all started at least 20 games. Marty Breuer and Ernie “Tiny” Bonham had 18 and 14 starts while no one else had more than eight. Ruffing and Gomez, the two members of the Hall of Fame, each put up 15 wins while Russo had 14. Chandler had 10 and both Donald and Bonham, as well has Breuer had nine. Russo’s WAR was 3.0, Bonham managed 2.6, and Ruffing 2.0. The reliever was Johnny Murphy. His ERA was 1.98 in 77 innings pitched, all in relief. He had 15 saves but managed to walk 40 opponents while striking out only 29. His ERA+ was a team leading 200. Although they’d lost to Detroit in 1940, the Yankees of 1941 were still very much the same team that had won consecutive World Series crowns in 1936, ’37, ’38, and ’39. In the coming World Series they would face an upstart team that hadn’t been to a championship since 1920 and hadn’t won one since Iron Man Joe McGinnity and the turn of the century. This marks the 1000th time I’ve sat down at a computer, gone to my blog page, started typing, and hit “publish” rather than “delete.” Frankly, I never expected I’d go on this long, but I have. When I began, I knew some day I would tell you this story. It’s one of my favorite personal stories and I’ve been saving it for a special occasion. Being a child of the Cold War, this little tale speaks to me in a way that some of you who are considerably younger than I may not understand; but I think it’s worth telling. The 1000th post seemed like a good time. For those of you read me occasionally, thank you. For those of you who read me with some consistency, have you seen a shrink recently? Now the story, which is true. Back in 2000 my wife and I got to take a trip to Europe. She wanted to see Berlin and both of us were curious about how the former East Germany was dealing with the end of the Cold War. As it was only two hours by train from Berlin, we decided we’d hop down for a quick look at Dresden. 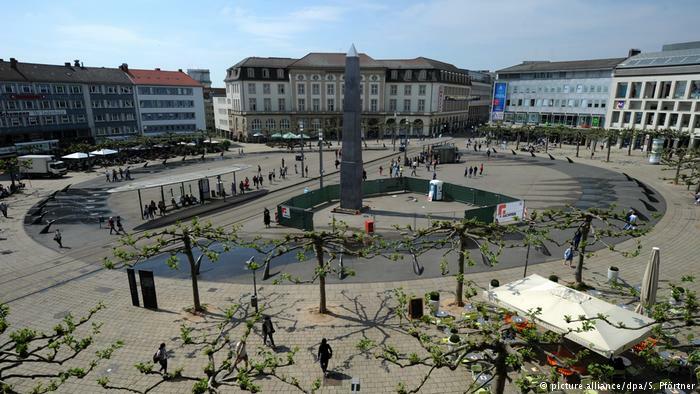 The city was restored from the World War II bombing, but then was allowed to deteriorate under the East German regime. The buildings were nice, but dingy with an ugly coat of soot and grime on most of them. If you walked through the old part of town you noticed that they were cleaning the buildings slowly and doing it with systematic thoroughness. With exceptions, the further west you went in the town, the dirtier the buildings. The further east you went in the town, the cleaner the buildings. It was as if the city fathers (and mothers, I suppose) decided to clean the town starting on the east side and finish up on the west side. 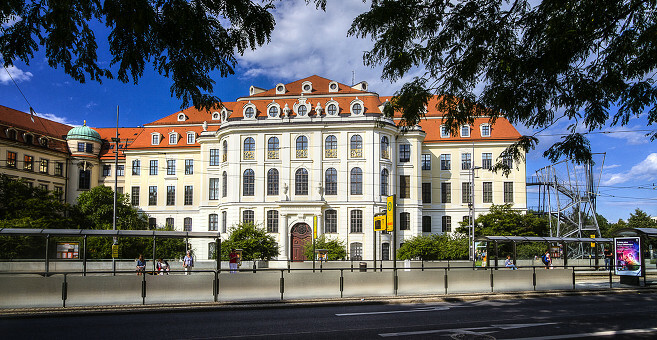 The Dresden City Museum was on the far eastern side of the old town area. It was a lot fancier building than our local city museum, but essentially it was the same kind of thing. It featured local items ranging from the sublime to the ridiculous and emphasized how much the locals had contributed to German culture and art, which is pretty much what our local museum does in my home town. Dresden is just bigger and has a lot more stuff in a much more impressive building. My wife and I have a deal when we visit a museum. We find a spot and agree to meet there at a specific time. That allows us to go through at our own speed seeing what each of us wants and ignoring those things that don’t interest us at all. She doesn’t have to stand patiently waiting for me to finish looking over some exhibit and I don’t have to pound my head on the wall hoping she’ll eventually get through with what I consider a particularly boring room. It’s a marvelous system and we used it in Dresden. As fate would have it I finished first and arrived back at the appointed meeting place, the bottom of the staircase to the second floor right next to the kiosk where you paid your money and got your entry ticket. As I’m likely to do on those occasions, I parked on the edge of one of the lower steps out of people’s way and did something I do a lot when I’m killing time, I started whistling softly. I never pay much attention to what I’m whistling, I just try to keep it low so I don’t disturb anyone. Well, I blew it this time. There were two older ladies in the kiosk, docents who took your money and would lead the occasional tour group through the museum. The younger one looked to be in her late 60s and it was she who heard me. Now I have to admit that got my attention. Here I was in Eastern Germany (former East Germany) and I was hearing the name of an American musician that had been dead 25 years and hadn’t had a hit in 50. It took me a second to realize that I was whistling the old Wills staple “Faded Love.” Where I live in Oklahoma you have to be able to sing both the chorus and one verse to graduate from high school. The same is true of getting into college, unless you happen to play football. In that case they waive the requirement. My son knew both verses and the chorus so he was given a free ride scholarship for four years. I nodded. She came over, sat down on the stairs beside me and started singing, again in heavily accented English, very softly, “I miss you darling more and more every day, as heaven would miss the stars above.” That got my attention too. I had enough sense not to join her. Then she told me a story which I now pass on to you. Her English was pretty good, my German isn’t that bad, so between her English and my German I got most of the tale and I think I got it right. “I miss you darling more and more every day as heaven would miss the stars above. And then there was the radio. They could pick up the BBC and a few other channels. One was American. She thought it was the Army radio channel. I asked if it was AFN (Armed Forces Network) she but wasn’t sure. It gave them more music, uncensored news, and it gave them baseball. They didn’t know a thing about the game, but there was a crowd and they were loud and they were, unlike the singer in “Faded Love,” obviously happy. Loud and happy? Well, those were things the docent and her buddies weren’t and probably weren’t going to get much of a chance to be. So they listened to the games to hear the crowd cheer and to hear people being happy. And of course they picked up a little baseball knowledge, although she said she never understood much about the game. Most particularly they picked up the names of players like Joe DiMaggio (whose last season was 1951 and serves as the latest date for the story) and Duke Snider. They loved the nicknames so much that most of the boys in the group took a nickname for themselves (to only be used when they were with the group). One guy became “Duke” and another “Joltin’ Joe”. Of course they had no idea what “Joltin'” meant, but it sounded good. As time went along my little docent married “Joltin’ Joe.” She told me they were still married and she still called him “Joe” occasionally, but only in private (old habits die hard). She thanked me for listening, went back to her kiosk. I sat there looking pretty stupid (something not uncommon for me) until my wife finally showed up. We left the museum, went on to tour the rest of the city, or at least as much as we could see in a day, and took the train back to Berlin. On the trip back I told the story to my wife and noticed a tear in her eye. Game five of the 1942 World Series was played in New York with the Yankees down three games to one. To pick up the ’42 championship they would have to win three consecutive games. The game was played 5 October in the Bronx. To keep their hopes alive, the Yanks turned to game one victor Red Ruffing. St. Louis needing one win to clinch the Series countered with game two winner Johnny Beazley. As in game four, the Yankees scored early when Phil Rizzuto led off the bottom of the first with a home run. It held up until the top of the fourth when Enos Slaughter led off that half inning with a home run. Not to be outdone, New York replied in the bottom of the fourth. This time, rather than a home run, they used a Red Rolfe single, a botched pickoff, a sacrifice fly, and a Joe DiMaggio single to retake the lead 2-1. Things stayed that way until the top of the sixth. Consecutive singles by Terry Moore and Slaughter put runners on first and third. A Stan Musial popup brought up Walker Cooper. His long fly to right plated Moore with the tying run, but a Johnny Hopp fly out stranded the go ahead run on the bases. From the bottom of the sixth through the end of the eighth inning the pitchers ruled. Only one man, Rizzuto for the Yankees and Jimmy Brown for the Cardinals, got on base for either team. With it looking like extra innings, Walker Cooper led off the top of the ninth with a single. A bunt sent him to second and brought up Cards third baseman Whitey Kurowski. He proceeded to drive a pitch deep into the left field stands and put the Cardinals ahead 4-2 with three outs to go. Joe Gordon led off the bottom of the ninth with a single, the seventh hit given up by Beazley. Brown managed to boot a Bill Dickey grounder to put men on first and second with no outs. St. Louis shortstop Marty Marion then slipped behind Gordon at second and a snap throw from catcher Cooper caught Gordon off the base for out one. A pop-up to Brown brought the second out. Then a grounder went straight to Brown who flipped to first for the final out of the Series. St. Louis won the game 4-2 and the Series in five games. For a short World Series it was a good Series. The Yankees actually outhit the Cardinals .247 to .239 and had more extra base hits (nine to eight), and more total hits (44 to 39). They even had fewer errors (5 to 10). But St. Louis scored more runs 23 to 18, more walks (17 to 8), and less strikeouts (19 to 22). Brown’s .300 led all St. Louis hitters while Kurowski’s five RBIs, including the Series winning one, paced the Cardinals. Four players, including Kurowski, scored three runs. 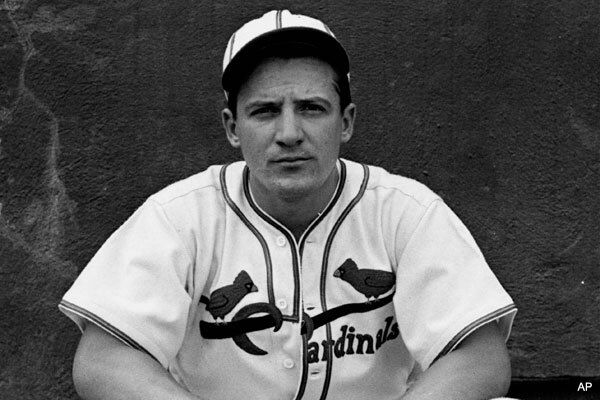 Musial’s .222 average wasn’t much, but he scored two runs and drove in another pair while walking a team leading four times. For New York, Rizzuto hit .381, while Keller, who hit only .200, led the team with five RBIs and two home runs. MVP Gordon hit only .095 and was picked off in a critical situation. It was the St. Louis pitching that made much of the difference. Their ERA was 2.60 as opposed to the New York ERA of 4.50. They gave up five more hits, but five fewer runs (how’s that for symmetry?). While the Yanks walked 17, the Cards walked only eight. In strikeouts the Cardinals had a small edge of 22 over the Yankees 19. Beazley won two games with an ERA of 2.50 while Ernie White had a complete game shutout. For New York only Red Ruffing claimed a win, but he also took a loss. For both teams there would be the rematch of 1943, which New York would win by the same four games to one margin. Then New York would fall off, only to revive in 1947 and then have another great run from 1949 all the way to 1964. For Yankees manager Joe McCarthy it would be the only blot on his New York World Series resume. The Series would become known in some places as “the one the Yankees lost.” For St. Louis it was the beginning of an impressive run. During the 1940s the Cardinals would win four championships (’42, ’43, ’44, and ’46) and win three world titles (all but ’43). It was one of the truly best, and by now most overlooked, teams in National League history. It is still the last National League team to win three consecutive pennants (1942, ’43, and ’44). In the 1950s the Cards would fall off, but in a twist of great irony it was the 1964 Cardinals that would finally end the great Yankees run of the 1950s and early 1960s. The 1942 World Series began in St. Louis with two games. After those two, the Series would move to New York for games three through five. The final games, if necessary, would be back in St. Louis. The first game in Sportsman’s Park was played 30 September. St. Louis sent National League MVP Mort Cooper to the mound. New York countered with long time stalwart Red Ruffing. Both pitchers were on for three innings. In the top of the fourth Joe DiMaggio singled. Consecutive pop ups got two outs, then Bill Dickey walked moving DiMaggio to second. A Buddy Hassett double down the left field line scored DiMaggio and sent Dickey to third. A grounder by pitcher Ruffing got Cooper out of the jam with only one run scoring. But the Yanks went back to work in the top of the fifth. With one out a Red Rolfe single and Roy Cullenbine double put runners on second and third. A Joe DiMaggio roller to third got Cullenbine trying to advance, but Rolfe scored the second New York run. In the eighth inning, the wheels came off for Cooper. With two outs and DiMaggio on first, Dickey singled. A Hassett single scored the Yankee Clipper and sent Dickey to third. Then Ruffing lifted a fly to right field which Cardinals outfielder Enos Slaughter misplayed allowing both Dickey and Hassett to score. That put New York up 5-0. New York tacked on two more in the ninth when Rolfe singled and Cullenbine hit a little tapper back to Max Lanier, who’d relieved to start the ninth. Lanier threw it away allowing Rolfe to score and Cullenbine to go to third. A second out brought up Charlie Keller who walked. A Lanier pick-off attempt went wide and Cullenbine scored the seventh New York run. Up 7-0 Ruffing started the bottom of the ninth. Considering what was to happen in the remainder of the Series, it was a harbinger of what was to come. Stan Musial fouled out, then Walker Cooper singled. Another out brought up pinch hitter Ray Sanders who walked. A Marty Marion triple scored both runners. Pinch hitter Ken O’Dea singled scoring Marion. Another single brought Terry Moore to the plate. His single scored the fourth run of the inning. A Slaughter single brought up Musial with two outs. He’d made the first out of the inning and proceeded to ground to the first baseman. A flip to the pitcher ended the game, the inning, and made Musial one of the few men to make two outs in one inning in the World Series. The Yankees won 7-4, but the St. Louis rally in the bottom of the ninth was indicative of what the Cardinals were capable of doing. New York had gotten good production out of much of its lineup and Ruffing had been sterling for eight innings. Both teams did well, but New York led the Series 1 game to none. The second game was played 1 October. For the Cardinals Johnny Beazley took the mound. 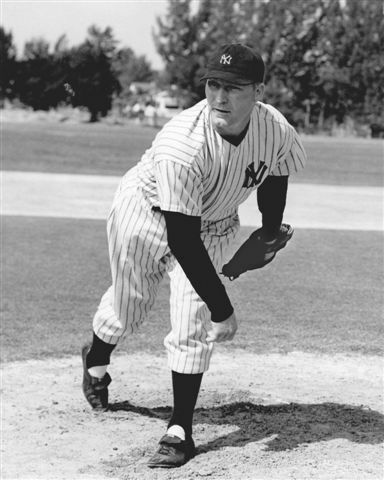 The Yankees response was Ernie Bonham. From the beginning Bonham was in trouble. He gave up a leadoff walk to Jimmy Brown. Terry Moore bunted Brown to second and beat out the throw. Two outs later Walker Cooper doubled home both runs to give St. Louis a 2-0 lead. Both pitchers pitched well from there. They gave up a lot of hits but there weren’t many walks and no one scored. The Cards tacked on a run in the seventh on a Johnny Hopp single and a Whitey Kurowski triple, but failed to score Kurowski. That was to cost the Cards because the Yanks came storming back in the top of the eighth. With two outs, Roy Cullenbine singled, then stole second. Joe DiMaggio singled to bring home Cullenbine and scored himself when Charlie Keller slugged a two-run home run to right field that tied the game at 3-3. In the bottom of the eighth, tied and in danger or possibly going down two games to none, St. Louis took a pair of quick outs. That brought up Enos Slaughter who doubled to right. Yankee shortstop Phil Rizzuto let the throw in from right get away and Slaughter dashed to third. 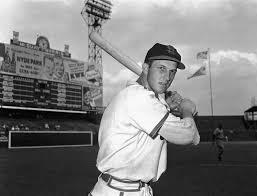 Up came Stan Musial who had made two outs in one inning the day before, including the final out of the game. But it was Musial and he singled to score Slaughter and put the Cardinals ahead 4-3. The score stayed that way despite consecutive singles to lead off the top of the ninth. Neither man scored, the first being cut down at third on a great throw from Slaughter. A fly and a groundout finished off New York and the Cardinals had tied the Series one game apiece. Beazley had one bad inning, but managed to win. He was in trouble a lot, giving up 10 hits and walking two, but New York’s scoring was confined to one inning. Bonham had given up only six hits and walked just one, but he’d spread four runs over the game and lost. Slaughter was a big hero scoring the decisive run and gunning down a key runner in the ninth, but it was Musial who drove in the game winner. Several years ago I did a series of posts in which I gave my candidate for the best ever World Series by game (i.e. the best all time game 1, the best all time game 2, etc.). At the time I chose the 1942 Series game 2 as the finest game 2 in World Series history. It’s been several years since (and thus a number of game 2’s since) so I might now change my mind. But whether I would or not, it was still a great game. After a day off for travel, the World Series would resume in New York with three games. With the Series tied, a split of any kind would bring the games back to St. Louis. A sweep would end the season. The 1942 baseball season was the first played while the US was involved in the Second World War. It changed a lot of things. One thing it didn’t change was the New York Yankees stranglehold on the American League. For the sixth time in seven years, New York won the AL pennant. 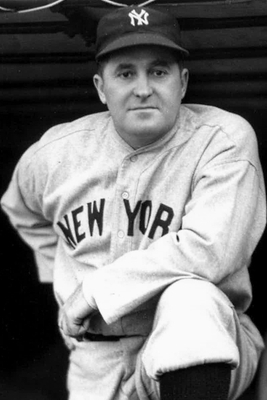 Joe McCarthy’s gang won the league championship by nine games and were primed to win their ninth World Series since 1927. Yankee hitters finished first in runs and home runs and second in almost everything else, finishing third in stolen bases and triples and fourth in doubles. The pitching was even better. New York hurlers led the AL in every major category except strikeouts (they were second) and in home runs. All that got them 103 wins and earned second baseman Joe Gordon an MVP award. It wasn’t one of the more famous Yankee staffs, but New York pitchers were excellent. Ernie Bonham, Spud Chandler, Hank Borowy, Atley Donald, and Marv Breuer all started at least 19 games. Hall of Famer Red Ruffing had a 3.21 ERA which was last among the starters. His .667 winning percentage (14-7) was next-to-last. Johnny Murphy and Johnny Lindell did most of the damage out of the bullpen, while former ace Lefty Gomez was restricted to 13 games. 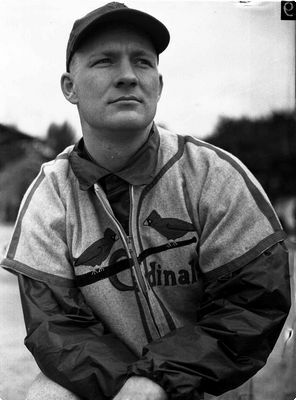 At 35, Bill Dickey was still a premier catcher. He hit .295 for the season with an OPS of .732 (POS+ of 108) and 1.6 WAR. His power was gone (two homers)but neither Buddy Rosar or Rollie Hemsley, his backups, had more. The infield was formidable up the middle and weaker at the edges. Hall of Famers Joe Gordon and Phil Rizzuto played either side of the keystone bag. Gordon, as mentioned above, won the MVP hitting .322 with a .900 OPS and a 154 OPS+. His WAR was a team high 8.2. He contributed 103 RBIs, 88 runs, and 18 home runs (all third on the team). Shortstop Rizzuto added a .284 average, a .718 OPS, a 103 OPS+, and 5.7 WAR. He had 157 hits, 68 RBIs, and flashed good leather. Buddy Hassett held down first. 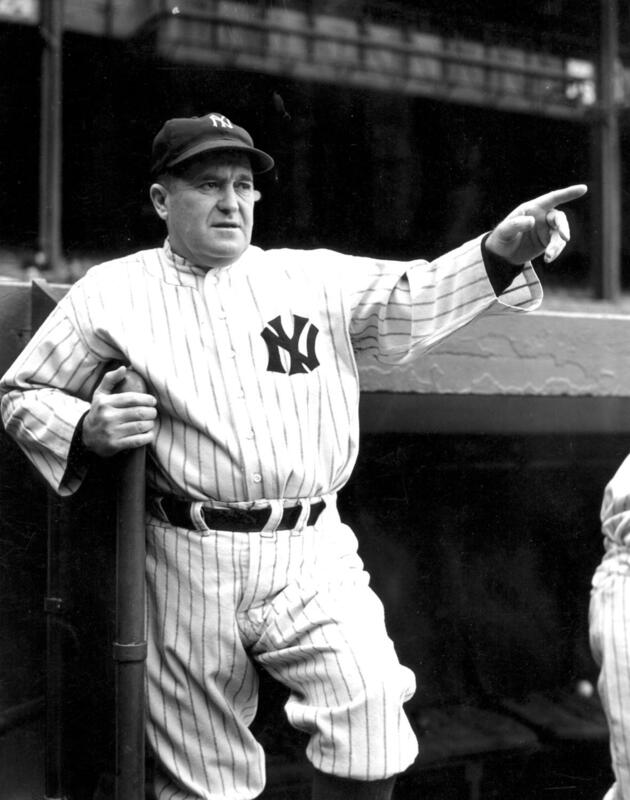 He wasn’t Lou Gehrig, managing only a .284 average, 0.4 WAR, and a below average OPS+ of 95. Frankie Crosetti and Red Rolfe shared time at third. Neither hit.250 (Crosetti’s .242 easily outpacing Rolfe’s .219). Rolfe’s eight home runs doubled Crosetti’s four and between them they had 48 RBIs. Jerry Priddy and Ed Levy provided most of the bench work (infielders with more than 40 at bats). Levy hit a buck-22, but Priddy hit .280 with a couple of home runs. The 1942 team provided one of the best Yankee outfields. There was no Ruth or Mantle, but across the field from left to right the three main players might have given New York the best trio of outfielders it produced at one time. Joe DiMaggio was in center. His 6.1 WAR was third on the team. He hit .305 with 21 home runs (good for second on the team) while leading the team with 114 RBIs and 186 hits. Charlie Keller played left. He hit .292, led the team with 26 homers and a .930 OPS (163 OPS+) and posted 6.7 WAR (good for second on the team). 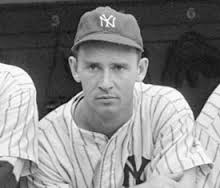 Tommy Henrich hit .267 with 13 home runs, 129 hits, a team leading 30 doubles, an OPS+ of 121, and 2.7 WAR. Roy Cullenbine and George Selkirk were the other outfielders. Cullenbine hit .364 and led the team with an OPS+ of 188 (1.4 WAR) and had the only two home runs by the backup outfielders. Selkirk hit .192. The Yanks were defending champions. They were seasoned, formidable, and ready to repeat. Standing in their way was the upstart team from St. Louis.